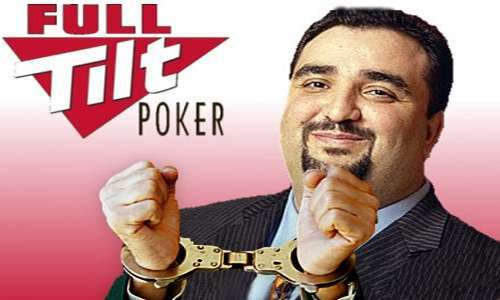 News has emerged of a late addendum to the saga of the original Full Tilt Poker, with the publication of a 10-year disqualification given to former FTP CEO Ray Bitar. The 10-yeard disqualification was issued by Ireland’s Office of the Director of Corporate Enforcement [ODCE] issued the 10-yeard disqualification against Bitar last July, which bans him from holding any corporate-officer in an Ireland-based business until July 26, 2025. 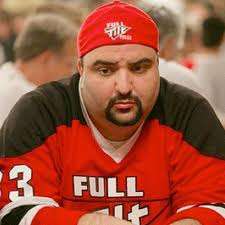 Ray Bitar sports the Full Tilt gear at the tables, several years back. The ODCE ruling was first revealed in a brief London Times feature earlier today, though the bulk of the Times piece is pay-walled. Flushdraw has separately researched the details of the ban issued by the ODCE and presents them here. The rulings (there are several), center on the liquidation of two Ireland-based corporations, Pocket Kings Ltd. and Rekop Limited. Pocket Kings was Full Tilt’s operational business entity and Rekop Limited was a supporting ownership entity, and both corporations, at the core of Full Tilt’s business structure, were relocated to Ireland from the United States back in 2006, following the US’s passing of its controversial Unlawful Internet Gambling Enforcement Act [UIGEA]. The two entities remained active in Ireland when 2011’s “Black Friday” indictments by the US essentially put the old Full Tilt out of business. Most of Full Tilt’s out-of-a-job employees in Ireland were technically Pocket Kings employees. Details regarding the actual liquidation of the Pocket Kings and Rekop Limited entities are not fully available in the ODCE’s online records. Nor is it clear why the actions taken against former CEO and one other individual were undertaken. Former PokerStars parent company Rationl Group acquired all of Full Tilt’s remaining assets in 2012 as part of its own settlement with the US Department of Justice, but by that time all of the old Full Tilt Poker, including the activities and assets within the Pocket Kings and Rekop entities, had been surrendered to US authorities as part of the resolution of charges against the company and several prominent executives. Bitar was one of those executives, who ultimately settled with the DOJ for an undisclosed amount no higher than $41 million. Bitar also avoided jail time, purportedly afflicted with a terminal heart ailment, but was married in a lavish wedding in 2015. Bitar was part of Full Tilt from the start, being a former day trader and close friend of fellow Full Tilt board member Chris Ferguson. The OCDE rulings involving Bitar do not appear among the brief selection of cases for which the agency has issued official press releases. However, the 10-year disqualification given to Bitar, issued on July 27, 2015, is among the longest such penalties issued in recent years; most such sit-out rulings in the OCDE records call for suspensions between three and five years. A third Ireland-incorporated business entity connected to Full Tilt, Fitzroche Limited, does not appear within the OCDE records. Bitar is not the only former Full Tilt official named in the OCDE’s 2015 annual report. A separate line-item entry in the report’s “Appendix 3” names Ephraim Lindquist, who was also one of Pocket Kings’ directors. That separate appendix names board members of OCDE-disqualified or -liquidated companies who themselves were not subject to individual disqualifications. Lindquist, of San Francisco, CA, was a long-time executive member of several Full Tilt component operations. His LinkedIn profile describes him as a “Competitive Intelligence Analyst” for Pocket Kings Consulting Ltd, from July of 2005 to September 2012. Lindquist also appears in more recent business records with another infamous member of the Full Tilt Poker Board of Directors, Howard Lederer. Lindquist and Lederer are listed as the two executive managers of a Nevada LLC, Incito Trading, which was incorporated on March 16, 2015. Incito Trading was activated via a prominent Las Vegas-based business law firm, Santoro Whitmire. Nicholas Santoro, one of that company’s lead attorneys, also represents Lederer and Chris Ferguson in an ongoing class-action lawsuit brought by five former Full Tilt players way back in April of 2012. That lawsuit was settled in an undisclosed manner late last year, with Lederer and Ferguson agreeing to pay an unspecified (and perhaps nominal) amount to the plaintiffs, along with court costs and about $260,000 in plaintiffs’ attorneys fees.